Arrow has had its fair share of mysteries over the years, ranging from the identity of the Dark Archer in Season 1 to why Oliver thought his hair from before the island looked anything but awful. One of the biggest mysteries has been the identity of Felicity Smoak’s father. 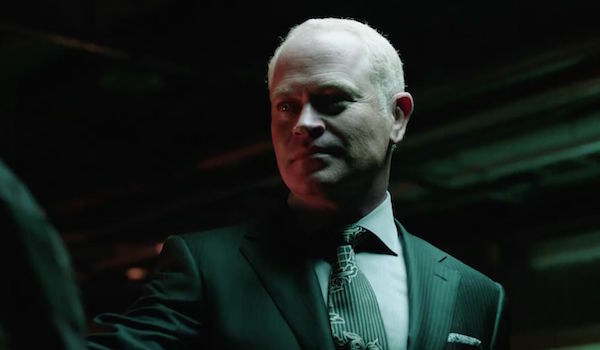 We know now that he’s in fact the dastardly Calculator, but one of the most popular theories prior to Season 4 was that supervillain Damien Darhk was her dad. Executive producer Wendy Mericle debunked that theory early on, but as it turns out, Darhk had been a contender for the role. You know, we did talk about it, and being perfectly honest, we knew that Andy Diggle was going to be working with H.I.V.E. and with Damien, so we felt that if we had every relative of our core team somehow involved with H.I.V.E. it would feel very 'Tiny Town,' very coincidental. It was purely a choice based on that. It kind of narrowed the scope of the world too much, and we felt it was better to find an organic way to bring in Felicity’s father. That bit of Wendy Mericle’s interview with TVLine is a nice nod to the fans who were positive that Damien Darhk was going to be Felicity’s dad. Knowing that Darhk had been a serious possibility is proof enough that they were on the right track. Still, Mericle’s reasoning behind the decision not to write Damien Darhk as Felicity’s father makes a whole lot of sense. In fact, keeping her father away from the Season 4 supervillain will be a nice change from how all plots on the show seem to converge at one Oliver-centric point. As much as Arrow is Oliver’s show, everything connecting back to him has required an awful lot of suspension of disbelief. Key figures in the families of both of his original partners being involved with H.I.V.E. could have been too much. The other piece is that if it was Damien or tied to H.I.V.E., it would make it harder to bring him back, say, in Season 5. While it’s unlikely that Mericle totally just spoiled the ending of Season 4 for two major bad guys, the likelihood that Felicity’s father is a character who will be around to give her an actual arc for more than an episode or two is cause for celebration. Felicity has had the most underdeveloped family history of any of the members of the current Team Arrow, and it's her turn. Besides, we haven’t gotten too many properly scary side villains recently. Keeping the Calculator in the wings in the long term could be pretty great. Arrow airs at 8 p.m. ET on The CW.